Warning: Deleting a critical service may render your computer unusable. 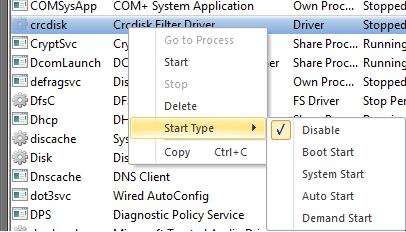 Use this option only if you are an advanced user with thorough knowledge on services. 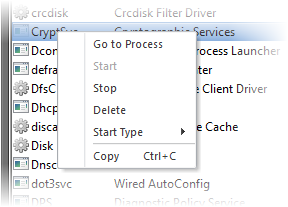 Copy - Copies the row of the selected service(s) from the list of services into your clipboard.